X-rays of a patient's skull are taken when a surgeon prepares for a cranioplasty. 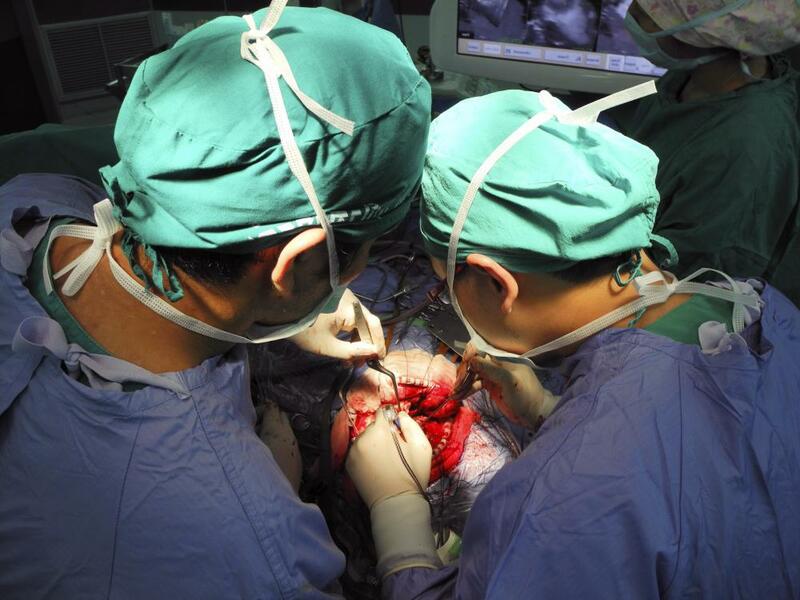 Depending on the reason for the surgery, there may be multiple surgeons involved in a cranioplasty. A specialist in craniofacial surgery will usually perform a cranioplasty. Cranioplasty is a surgical procedure in which part of the skull is reconstructed. This procedure can be performed for aesthetic or medical reasons, and sometimes a blend of both. It requires a skilled surgeon because there are a number of serious risks. 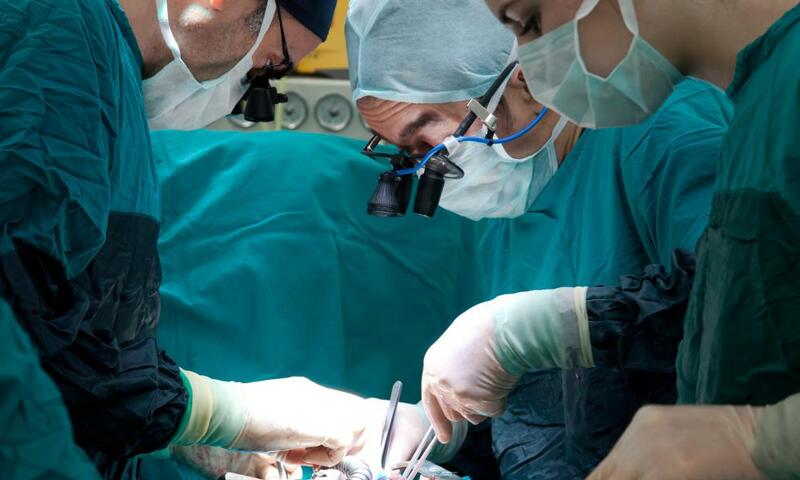 Usually, a specialist in craniofacial surgery performs the procedure, and the surgical team may include other members, depending on why the surgery is being performed and the general condition of the patient. One reason to perform a cranioplasty is to address a deformity or defect in the skull. There are a number of conditions which can lead to abnormalities in skull structure, such as cases in which the cranial sutures close early and the skull cannot expand as the brain grows. Likewise, some congenital conditions can cause children to be born with skull anomalies which can be corrected with cranioplasty. 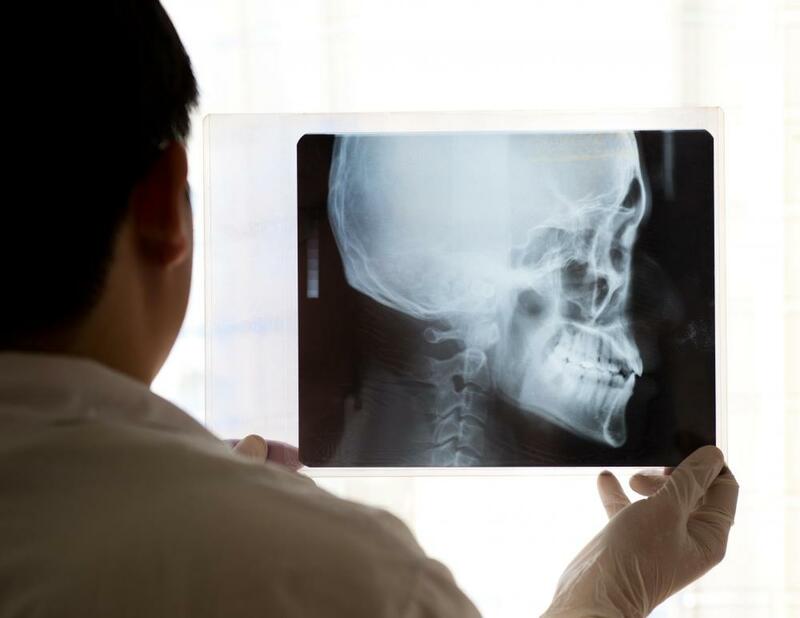 Injuries to the skull sustained as a result of trauma can also be cause for a cranioplasty, as for example when part of the skull is fractured and needs to be reconstructed. Likewise, cancers can sometimes cause abnormalities of the skull which need to be corrected. Sometimes surgical procedures on the brain can require a cranioplasty after completion. When a surgeon prepares for a cranioplasty, x-rays of the skull are taken and the surgeon discusses the procedure with the patient and/or family members. Usually the goal of the surgery is discussed along with options which may be available and aftercare directions are provided so that people know what to expect after the surgery. The surgeon may also fabricate specialized parts for the procedure or order parts from a facility which does fabrications of that nature. Cranioplasty can include inserting plates and other supportive devices into the skull to help it hold its shape, using screws to position fractured pieces of bone in place, and fitting people with external fixators which are used temporarily while the skull heals. The specifics of the procedure vary depending on the area of the skull being reconstructed, the preferences of the surgeon, and the circumstances. Risks of a cranioplasty can include infection at the surgical site, damage to the nerves in the face, and injuries to the brain. Brain injuries are especially common concerns after trauma, because more of the brain may need to be exposed during surgery; the brain can also be subject to swelling, which may cause a dangerous rise in pressure inside the skull. What is a Coronal Suture? What is a Traumatic Head Injury? What is a Depressed Skull Fracture? I heard recently that there are legal restrictions on replacing the entire skull. Are there any such restrictions? I am due to undergo a cranioplasty in the next month as I hit my head and effectively broke my skull and the piece is apparently too broken to use (and its been contaminated because its been left in a fridge at the hospital) and they are now going to replace a hand sized piece of my skull with titanium mesh. I'm scared about this. Do you have any information about this, like how strong it is and whether the new piece will be the same shape as my old skull. I play sport too, so is it strong enough? Thanks. This is all very daunting - I've never even hit my head, let alone broken my skull before now. I've had two cranioplasties now. The first was inserted in 2009 after removal of some infected bone flap (following removal of a brain tumour). As stated in various posts, there is a massive risk of infection, and this led to my first plate being removed in Feb 2012 (not the only infection might I add). I have just had my second plate fitted two weeks ago and so far, so good. I've had an amazing surgical team with fantastic after care. Thank you does not begin to touch how I appreciate those guys! This relates to the story about Gabrielle Giffords being shot in the head. While her husband was in space, she received successful cranioplasty. Like the guy above me said, I think that the doctors who did cranioplasty on Gabrielle Giffords deserve a very big pat on the back. Is titanium the most common metal used in craniplasty surgery or are there are other metals and elements? I feel like titanium would be very heavy to use on the skull but I had heard about it being used once. Cranioplasty is actually not new! There are many accounts in history books that talk about the placement of plates in the skulls of warriors and soldiers who were injured during fighting. I've even heard from a history professor that it was done during the Stone Age. It wasn't only used in Europe as a technique but even in South America and Russia. Today's craniplasty is only a more modernized and developed version of this ancient method. I had read in the news about a businessman who had cranioplasty after he was shot. They had to remove a part of his skull because the pressure inside was too much. The doctors said that if they didn't remove the skull and reduce the pressure, he would have had a brain hemorrhage. They put the piece of skull which they removed inside his abdomen so that the cells remain live. And then placed the piece back after a couple of months. He is said to be doing well now. I didn't know anything about cranioplasty before but after reading this, I think it's an amazing procedure. And doctors who accomplish this successfully, I think they deserve a big pat on the back.